The European Higher Education Area - Achieving the Goals. Communiqué of the Conference of European Ministers Responsible for Higher Education, Bergen, 19-20 May 2005. This report from the Bologna Follow-Up Group is addressed at the Ministers in order to begin the discussion regarding the appropriate arrangements needed to support the continuing development beyond 2010. This report has been drafted by the European Association for Quality Assurance in Higher Education (ENQA), through its members, in consultation and co-operation with the EUA, ESIB and EURASHE and in discussion with various relevant networks. It forms the response to the twin mandates given to ENQA in the Berlin Communiqué of September 2003 to develop "an agreed set of standards, procedures and guidelines on quality assurance" and "to explore ways of ensuring an adequate peer review system for quality assurance and/or accreditation agencies or bodies". What can national/regional authorities and higher education institutions respectively do to make doctoral studies more attractive? Should a common core be defined for European doctoral programmes, and if yes, what should it consist of? Within the policy areas of Ministers responsible for higher education, what are the most important obstacles to mobility for doctoral students, and how can these obstacles be overcome? In what ways can the development of transferable skills, and a stronger professional awareness of such skills, be integrated in doctoral programmes as training for the wider society? E.g., should transferable skills be taught separately or through “learning by doing”? Summing up the discussion: What may be the most important elements to follow up in the Bologna Process in the period leading up to 2007? What are the main barriers to implementation of LLL as an integrated part of policies and practice within the higher education institutions? Attitudes, legal framework, the structure of financial incentives? How can national qualifications frameworks play a vital role in the furtherance of LLL? What are the most important requirements that such a framework should meet to include relevant qualifications from non-formal and informal learning as elements in higher education programmes? What is needed to encourage higher education institutions to implement means and tools for better assessing possible exemptions for the individual student on the basis of prior non- and informal learning? How can relevant qualifications from non-formal and informal learning become elements in higher education programmes? How can the dialogue between the higher education institutions and industry/employers regarding implementation of lifelong learning be improved? Summing up the discussion: How should these issues and topics be brought forward for policy implementation, at the national level and at the institutional level? The Bologna Process relies on coherent European standards, and this conference examines frameworks to secure that basis. But is it a suitable paradigm for other regions, too? Obviously, solutions in all regions must reflect their unique needs and conditions. Still – could experience gained e.g. 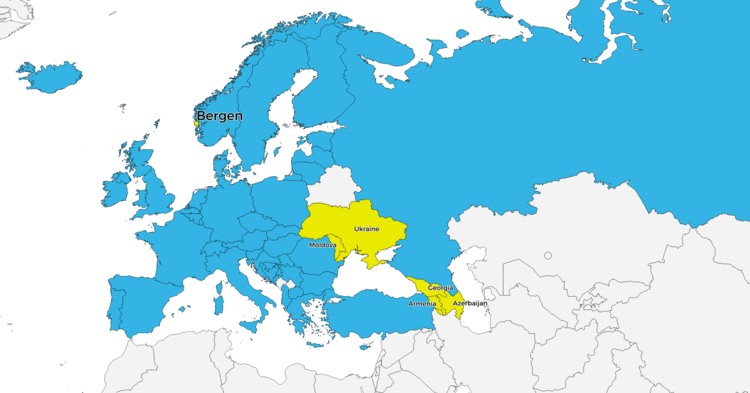 in Europe be of use for other regions and countries? The Bologna Process has initiated a number of reforms in the degree structures of European countries with a view to making degrees more easily recognised across the European Higher Education Area. But how are the new European degrees perceived outside Europe? And how should Europe promote under- standing of the ‘Bologna’ degrees? How well may the UNESCO conventions be suited as the framework for a global system of recognition? What could be the European contribution? What contributions can be made, and how should they be made, by the more established education sectors of Europe? Are European developments in the organisation of quality assurance in higher education transferable to other regions? In this perspective – how could the Bologna Process help safeguard the special quality aspects of education – specifically the interests of the weaker countries that are the potential victims of low-quality and/or for-profit education across borders? How can we ensure the full contribution of educational staff and students in securing and developing quality in higher education? What has to be done at the institutional level to fully implement the principles of the Lisbon Convention in the practice of recognition? Summing up the discussion: How can the efforts to improve quality assurance and recognition in the European Higher Education Area best be linked to the UNESCO/OECD global approach? How should public responsibility and institutional autonomy be balanced in the Bologna Process for optimal cooperation and division of labour between public authorities and autonomous institutions? Are there elements of institutional autonomy that are essential to the Bologna Process? Does increasing institutional autonomy imply a stronger influence from external decision makers (Ministry of Education) on the composition of the institutional leadership? Summing up the discussion: Should this theme be brought forward for further discussion in the Bologna Process after Bergen? At this conference, we have welcomed Armenia, Azerbaijan, Georgia, Moldova and Ukraine as new participating countries in the Bologna Process. 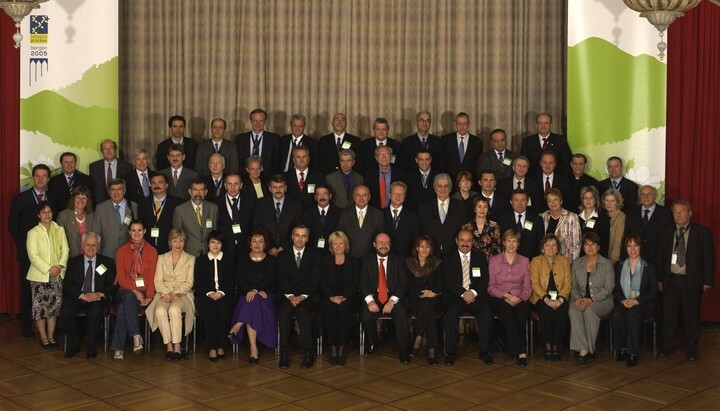 Download the archive (.zip) containing the official photos of the 2005 Bergen Ministerial Conference.